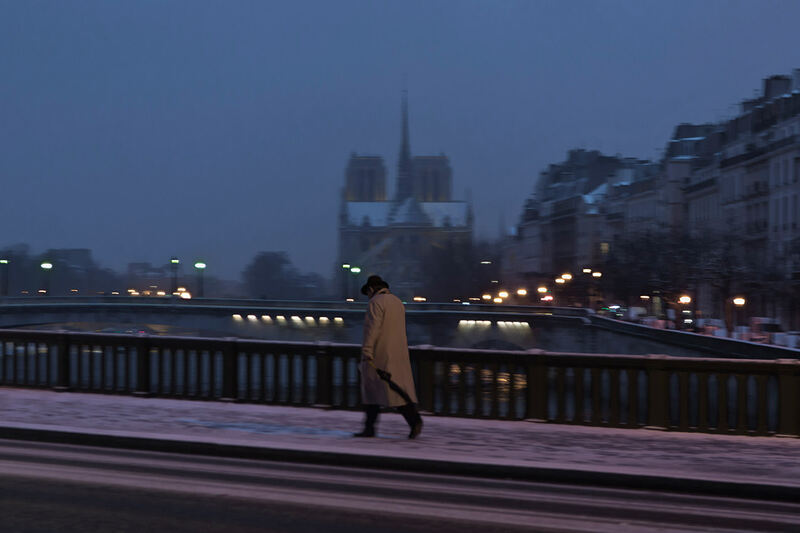 A man is walking Pont de Sully a snowy evening in Paris. A man wearing a raincoat and a hat is walking umbrella in hand in the snow Pont de Sully in front of the Cathedral Our-Lady of Paris by a winter evening in Paris. 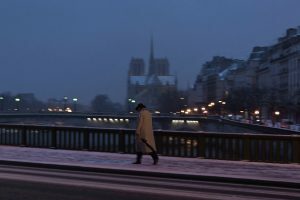 Un homme vêtu d’un imperméable et d’un chapeau marche parapluie en main dans la neige Pont de Sully en face de la cathédrale Notre-Dame de Paris par un soir d’hiver à Paris.